We are an Australia registered business and the authorised resellers of LEDGER, TREZOR and KEEPKEY Bitcoin hardware wallets. A Bitcoin wallet the initial step to utilizing Bitcoin, as with no wallet, there is no Bitcoin transaction that can be made. In conclusion, you can't even own a Bitcoin without the wallet. You can consider a wallet as the bridge to the Bitcoin network, just like the Internet banking is the bridge to access your money. Bitcoin wallets contain private keys which are the secret codes that let you control your bitcoin such as sending and receiving. A Bitcoin wallet is actually a mobile app, website, or small device which helps manage the private keys for you. In general, most Bitcoin trading sites offer wallets for people to store the digital money. However, are they secured? You might have heard about the bankruptcy of Mt. Gox, a large bitcoin exchange in Japan, who announced that about 850,000 bitcoins have been stolen in 2014. Obviously, it is because of the cyber theft. So the best way is to have the hardware wallet to keep bitcoins offline, which is also called cold storage. 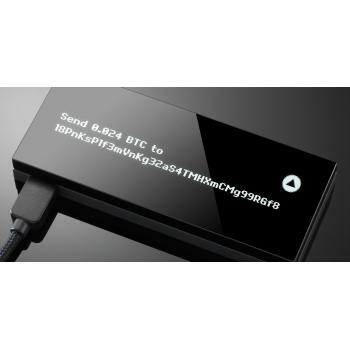 A cryptocurrency hardware wallet is a physical device with the USB connection, made for the purpose of securely storing Bitcoins. The core innovation is prior to bitcoins can be sent or received, the hardware wallet has to be connected to your computer, tablet or mobile via the USB/Lightning cable. 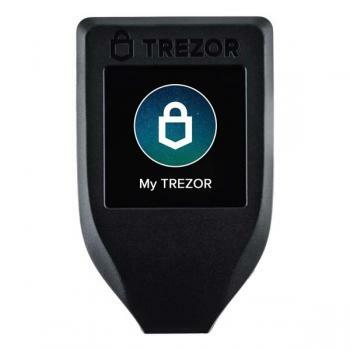 Nowadays there are two most popular Bitcoin hardware wallets in Australia: Ledger Nano S and Trezor. If you're serious about safety and convenient Bitcoin storage, getting a hardware wallet is the smart choice. In fact, we do highly recommend them. 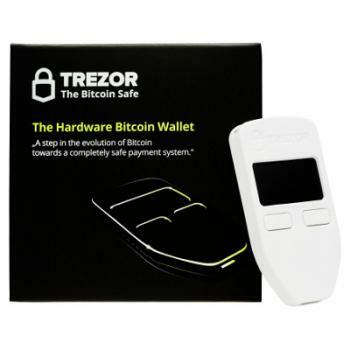 Bitcoin hardware wallet available in Australa keeps the private keys away from your computer and off the Internet since the computer can be easily hacked and affected by the virus. Your keys are stored in an offline environment on the hardware device. As bitcoins are digital money, cyber-criminals could, possibly, target your computer's "applications wallet" or the server that offers online wallets, and gain access to your private key. Storing and Generating keys off the net with a hardware wallet makes sure hackers stay away. How about theft breaks your house and steals your hardware wallet? You won't worry about that as there is no way to break into the device without knowing your pre-set PIN code. 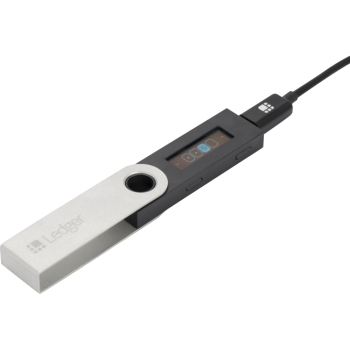 For example, Ledger Nano S is the best cryptocurrency wallet. Hardware wallet will let you set up a PIN code (backup code) to recover the content (bitcoins) of your wallet when the device is damaged, stolen or missing. Black Friday promotion is now on! 10% off all hardware wallets! Australian customers only!